This sauce will liven up your BBQ or dinner. Try it as a sauce or dip for your favorite mealtime foods! Tennessee Whiskey product with Jack Daniels bring the taste of the Tennessee hills to your next BBQ. Made with Jack Daniels Tennessee Whiskey, these BBQ sauces come in three different heat (proof) levels of 86, 100 and 151 Proof. Tennessee Whiskey with Jack Daniels BBQ Sauces are great on ribs and especially chicken.Sprinkle the steak seasoning on your burgers for a real treat! Warning: No Eating and Driving! This hot and spicy BBQ sauce, made with Jack Daniel's Whiskey, is considered the taste of the Tennessee Hill Country. The whiskey recipe was created almost a century ago and combined with the quality and tradition of this BBQ sauce, we have a classic sauce. A sensational blend of flavors that makes any marina or barbecue the talk of the party! Use as a condiment or an exciting glaze or finishing sauce. Use for dipping wings, chicken fingers, tacos, pretzels, meatloaf or fresh fish nuggets. Great with all poultry and pork! Located in Kansas City, Missouri, Jack Stack's Barbeque Restaurant has firmly secured its place on the Barbeque map in America. Jack Stack's Kansas City Original BBQ sauce is an overwhelming favorite for gift giving. It is gentle and unassuming, with a subtle blending of sweet and tart designed to bring out the full flavor of ribs and meat. Margaritaville Original BBQ Sauce creates a flavor of being on a deserted beach, swinging in a hammock, while fresh meat grills on your fire, as the sun sets! Can you handle that? This BBQ sauce has a great island flavor, with a hint of mango and sweetened with cane sugar, and comes from the kitchen of Jimmy Buffet! Enjoy, Mon! A sweet, distinctive blend of sugar, salt, onion, garlic, spices, natural cherry and smoke flavor. It is sweet to eat and goes great on beef, brisket, pork, ribs, and chicken. NEW! Imagine combining the sweet taste of honey with the heat of the habanero; now picture that combination being spread all over chicken, beef or pork. 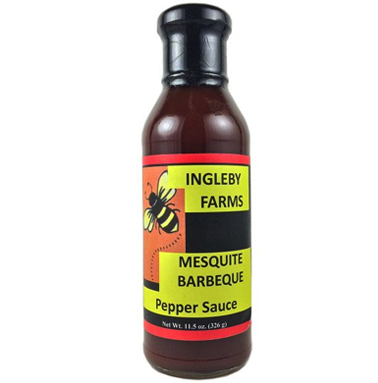 You cannot beat the wonderful flavor of our Honey n' Habanero BBQ sauce, it has a sweet beginning with a sharp bite at the end. Don't worry, you won't mind this sting! So friggin' hot, you may go blind!! This BBQ sauce is for the same folks who think Battery Acid is a culinary treat. If you can stand the heat, cook with it. If not, leave it the hell alone! Pappy's Sauce for Sissies BBQ Sauce is good for Babies, Brats, and Bikers. Even tough guys can have a hard time with a little spice. 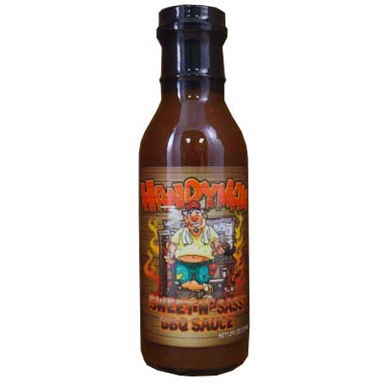 This sauce is a wonderful marinade maker for pork tenderloin and chicken, really full bodied! With a heat that will separate the men from the sissies, Pappy's Sauce is the real deal!